We do not want cloudy days... However, on occassion it may rain on your parade. Therefore, Apparel Search believes that you should always be prepared with some fashionable rainwear. We have found that Bloomingdales actually has a fantastic collection of rainwear such as rain boots and umbrellas. 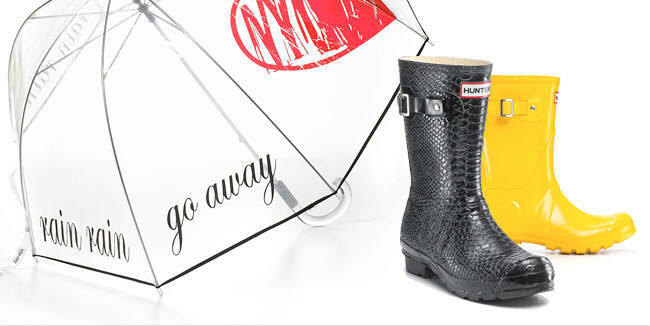 We particularly like the Sperry Top-Sider "Pelican" Rain Boots (Web ID: 500322), but we find others appealing as well. Learn more women's rainwear such as rain boots and umbrellas here on Apparel Search. By the way, don't forget that men also need fashionable rainwear.